25-year-old Maria Pluschnik of Schanzenfeld, Manitoba. 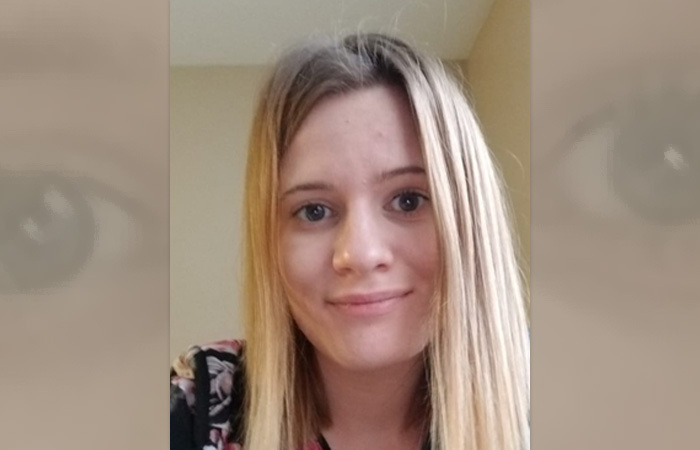 Morden RCMP are asking the public for any information into the whereabouts of a missing woman, 25-year-old Maria Pluschnik. On February 9, 2019 at approximately 12:35pm, Morden RCMP responded to a call stating that 25-year-old Maria Pluschnik of Schanzenfeld was missing. Schanzenfeld is located in the RM of Stanley. Maria Pluschnik was last seen in Schanzenfeld during the evening of February 7, when she left in her vehicle, a green Dodge Caliber. On February 10, her vehicle was located abandoned on Road 22 West at Road 8 North in the RM of Stanley. Police believe that Maria’s vehicle got stuck in a snow drift and had been there for some time. Maria Pluschnik is described as having long brown hair and grey eyes. She was last seen wearing a dark red winter jacket, white scarf, boots, a toque and mitts. RCMP are requesting the publics assistance in locating Maria Pluschnik. If you have any information on her whereabouts, please contact RCMP at 204-822-5469 or CrimeStoppers anonymously at 1-800-222-8477. You can also submit a secure tip online at www.manitobacrimestoppers.com. RCMP report that the body of Maria Pluschnik was found on February 11, in the RM of Stanley.